Please note Ashima Franklin LIVE occurred in past. 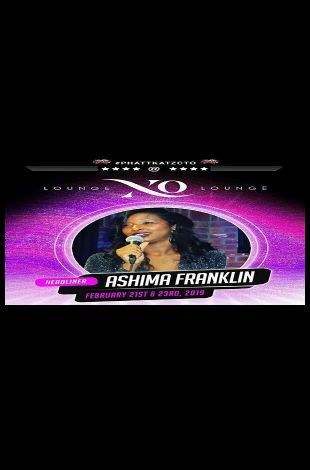 Ashima Franklin is a standup comedian who rose to fame after appearances on Showtime's Kattpacalypse and Bounce TVs From the String. She began calling herself The O.B. : Initial Baby Momma because she performed standup until the night before her son's delivery. Ashima was an article writer for Russell Simmons, who produced the comic YouTube route All Def Digital, which offers over 2.2 million subscribers and counting. She toured with Katt Williams' on his Development Spurt Tour. Note: We provide all Indian (desi) events. Your source of all the Desi Indian events happening in and around Jacksonville. JacksonvilleIndian.com has tried it's best to provide accurate information, we request you to check our site for updates. JacksonvilleIndian.com is not responsible for any cancellations or changes in events.